Funding the future. A selection of SEIS and EIS funds managed by Sapphire. Our goal is simple: to maximise the market value of existing owners' equity in our funds. 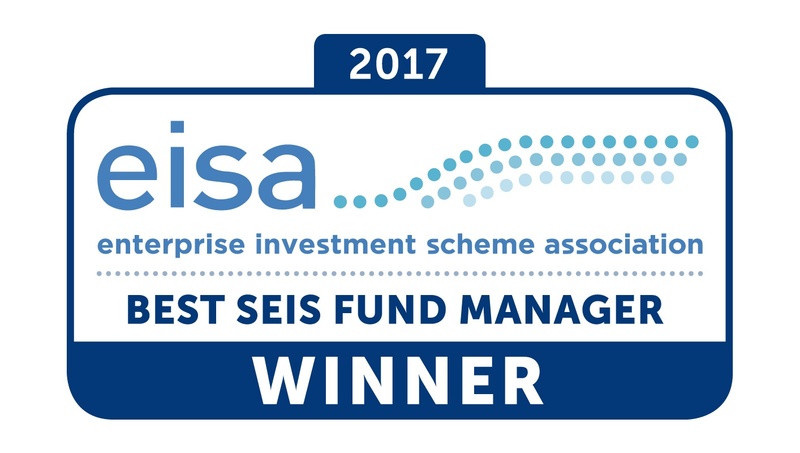 We are delighted to have won the best SEIS Fund Manager for 2017. See all our awards here. 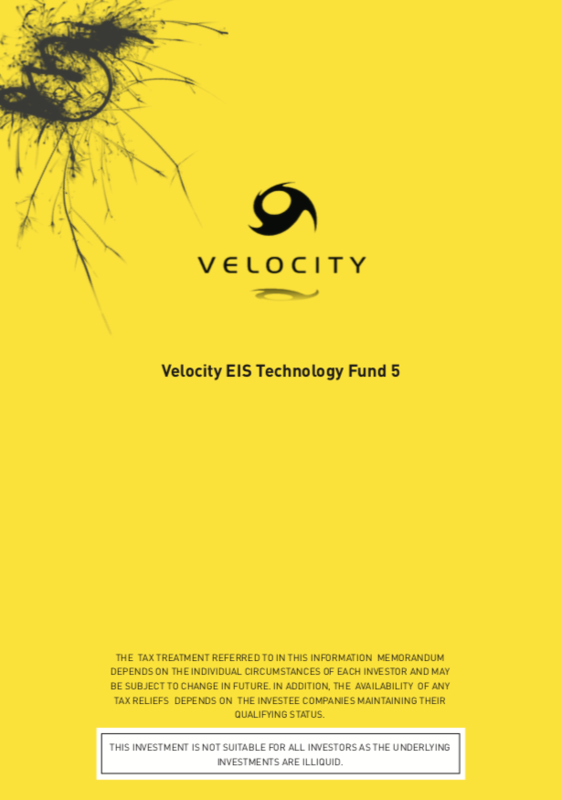 The Velocity EIS Technology Fund 3 invests in and provides support to companies that specialise in technology enabled businesses. The Velocity SEIS Technology Fund 3 invests in and provides support to smaller startup companies that specialise in technology enabled businesses. 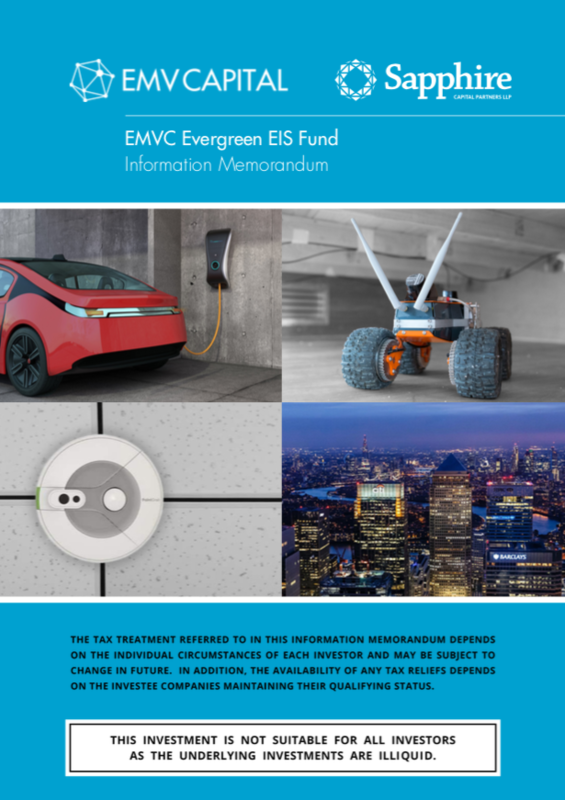 The EMVC Evergreen EIS Fund invests in and provides support to companies that specialise in industrial high tech, energy, robotics and AI, IoT and resource efficiency. 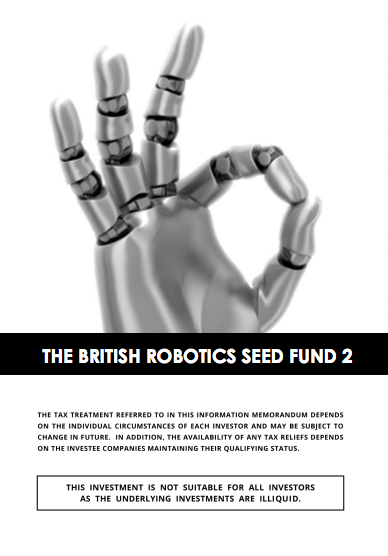 The British Robotics Seed Fund invests in and provides support for UK based robotic start-ups. 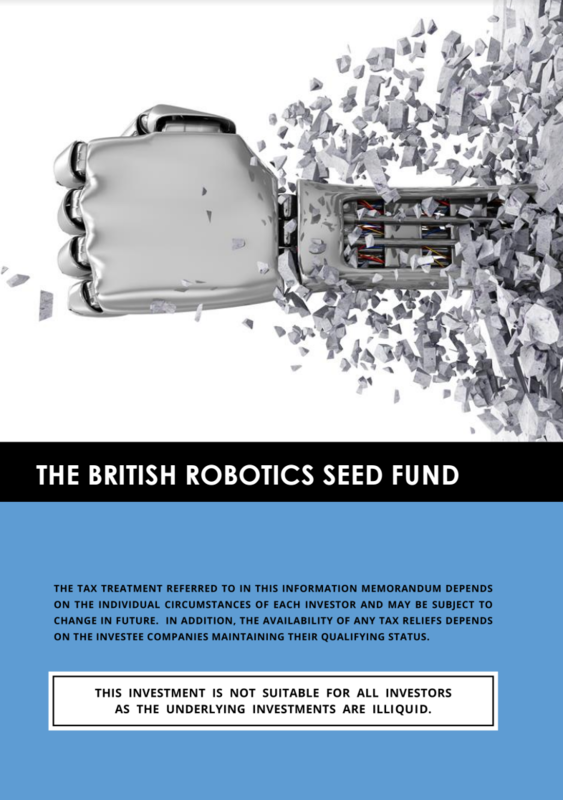 Similiar to the first robotics fund, the British Robotics Seed Fund 2 invests in and provides support for UK based robotic start-ups. 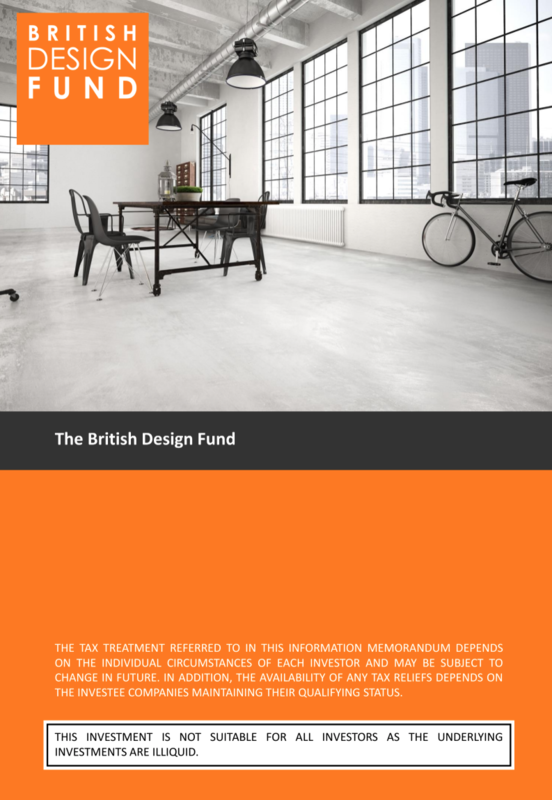 The British Design Fund invests in and provides support for UK product design and manufacturing companies. 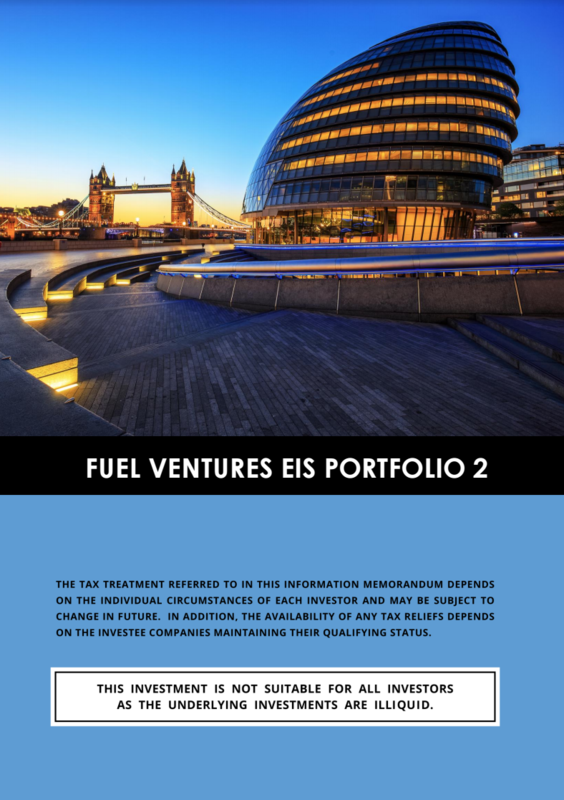 The Fuel Ventures EIS Portfolio 1 is an EIS fund specialising in super-early seed, seed, and series A stage-investments in the e-commerce sector. 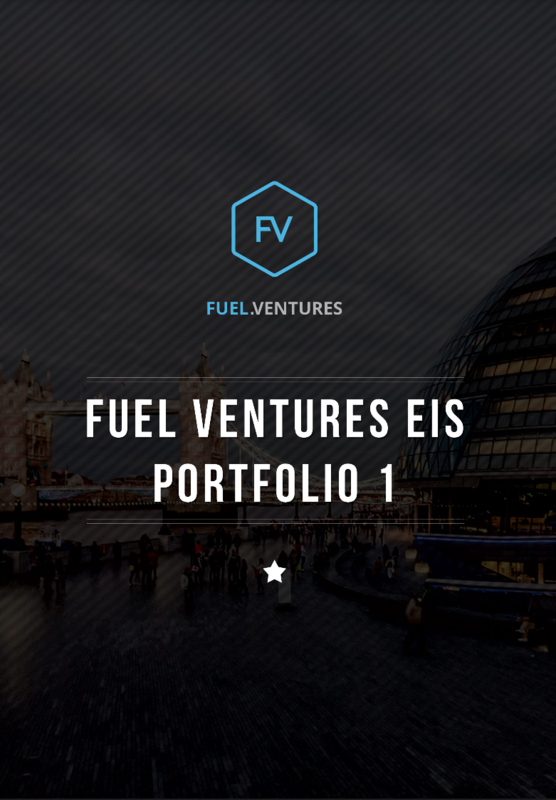 Similar to the first Fuel Ventures fund, the Fuel Ventures EIS Portfolio 2 specialises in super-early seed, seed, and series A stage-investments in the e-commerce sector. 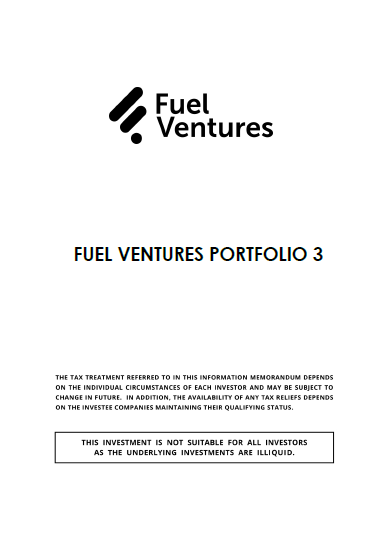 Similar to the second Fuel Ventures fund, the Fuel Ventures Portfolio 3 specialises in super-early seed, seed, and series A stage-investments in the e-commerce sector. 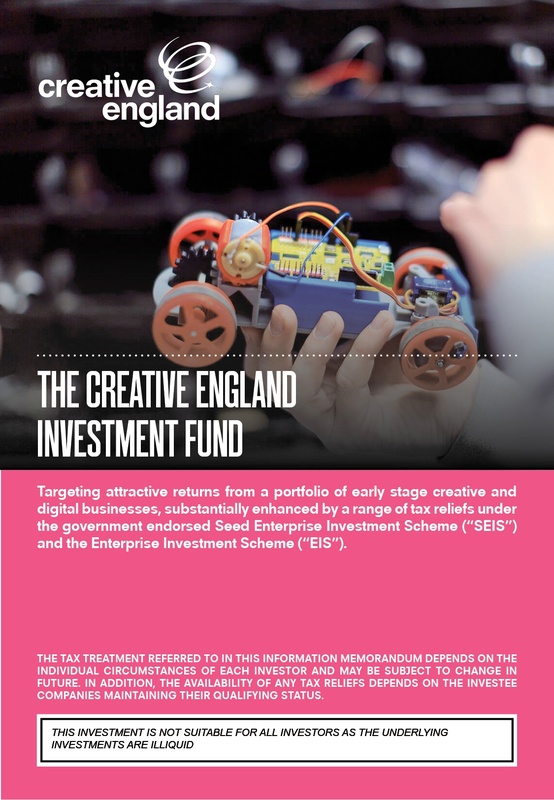 The Creative England Investment Fund invests in UK based early-stage creative and digital businesses. 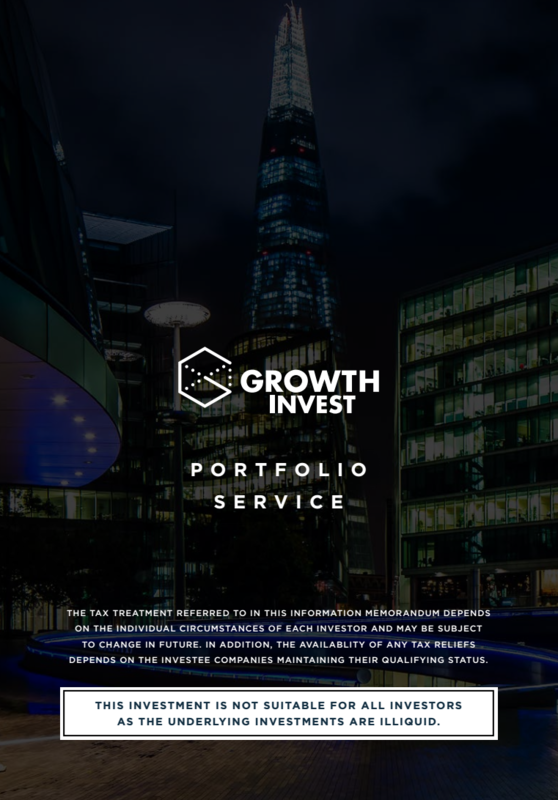 The GrowthInvest Portfolio Service invests in and provides support for early stage companies. 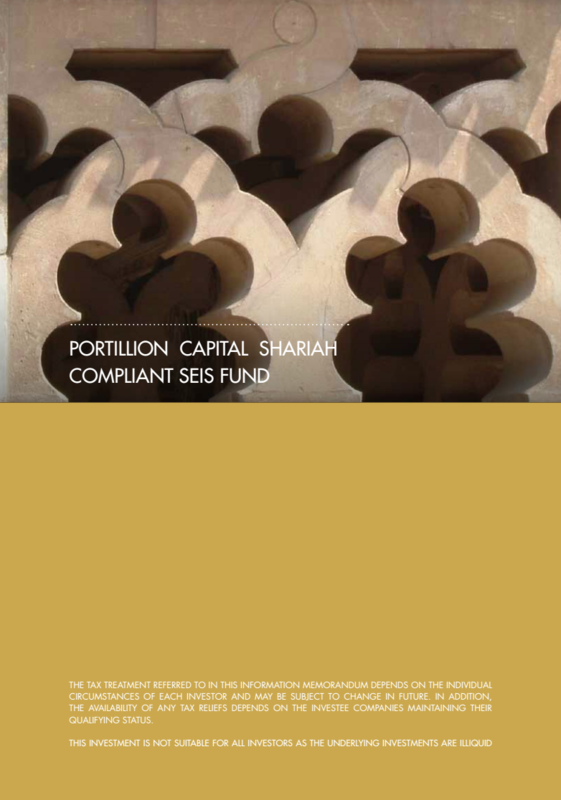 The Portillion Capital Shariah Compliant SEIS Fund invests in a number of small, Shariah compliant businesses in different business sectors. 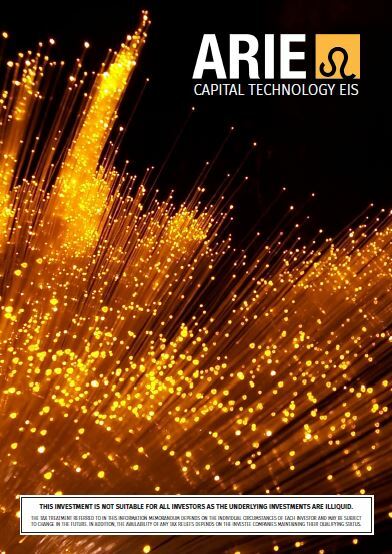 The Arie Capital Technology EIS Fund invests in next generation high technology, which are innovative growth companies that have an established proof of concept and commercial viability. 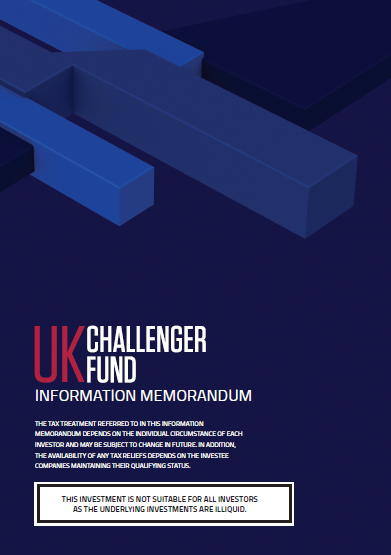 The UK Challenger Fund seeks to invest in and provide support for UK small and medium-sized enterprises across a range of sectors including technology, fintech, media, lifestyle, and food and beverage. 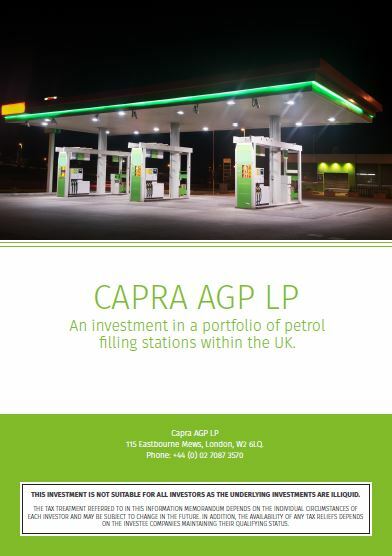 The Capra AGP LP is a property fund that invests in a portfolio of petrol stations in the UK. 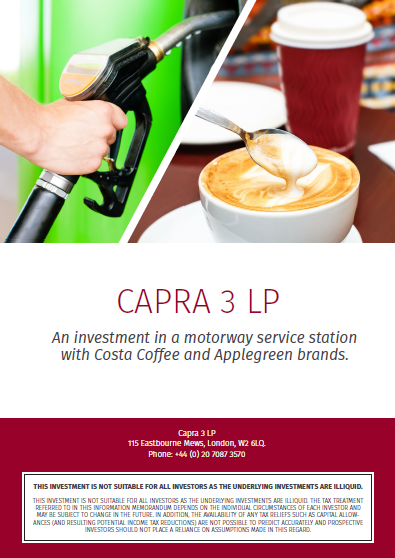 The Capra 3 LP is a property fund that is developing a major petrol station on the motorway close to the city of Leeds. Our FREE eBook guide will help you understand SEIS and EIS funds. How to set a fund up. Our eBook will save you valuable time and expense in your quest to launch a SEIS or an EIS Fund. [fa icon="plus-square"] What is a SEIS or EIS fund? A SEIS and / or EIS fund is normally a discretionary investment management service managed by an FCA approved investment manager. The fund is typically not a legal entity and is a group of individual bare trusts to enable subscription monies to be held on behalf of investors under a nominee arrangement; each investor is normally the sole beneficiary of each bare trust, which is collectively known as a fund. A nominee often acts as the registered legal holder of investments on behalf of each investor. As well as not being a legal entity, a SEIS and / or EIS is typically not considered to be a collective investment scheme as defined in section 235 of the Financial Services and Markets Act 2000, but it is considered to be an Alternative Investment Fund ("AIF") for the purposes of the Alternative Investment Fund Managers Directive ("AIFMD"). Please note that this is only a condensed summary and should not be construed as constituting advice which a potential investor and / or company should obtain from their own adviser. [fa icon="plus-square"] What type of companies do these funds invest in? SEIS and / or EIS funds typically invest in early stage companies such as super-early seed, seed and series A stage companies. [fa icon="plus-square"] What are the tax advantages of investing in a SEIS and / or EIS fund? [fa icon="plus-square"] How do I invest in a SEIS and / or EIS fund? OR a Certified restricted investor. Please also note that iInvesting in start-ups and early stage businesses involves risks, including illiquidity, lack of dividends, loss of investment and dilution. It should be done only as part of a diversified portfolio. Any investments are targeted exclusively at investors who understand the risks of investing in early stage businesses and can make their own investment decisions. [fa icon="plus-square"] How much money do SEIS/EIS funds typical invest in a company? Generally, from our experience, for SEIS qualifying companies it is usually the full £150,000 and for EIS qualifying companies the typical investments range from £200,000 to £2,000,000 - but it very much depends on the remit of the particular fund and investment manager. Keep in mind that for SEIS, the maximum fundraising per company is restricted to an all-time maximum of £150,000 and for EIS, the maximum fundraising per company is restricted to an all-time maximum of £12,000,000 (£20,000,000 for “knowledge-intensive” companies). Subject to certain exceptions, the maximum EIS fundraising per company is restricted to £5 million per year (and a lifetime limit of £12 million as noted above). [fa icon="plus-square"] How do I find a fund that will invest in my company?